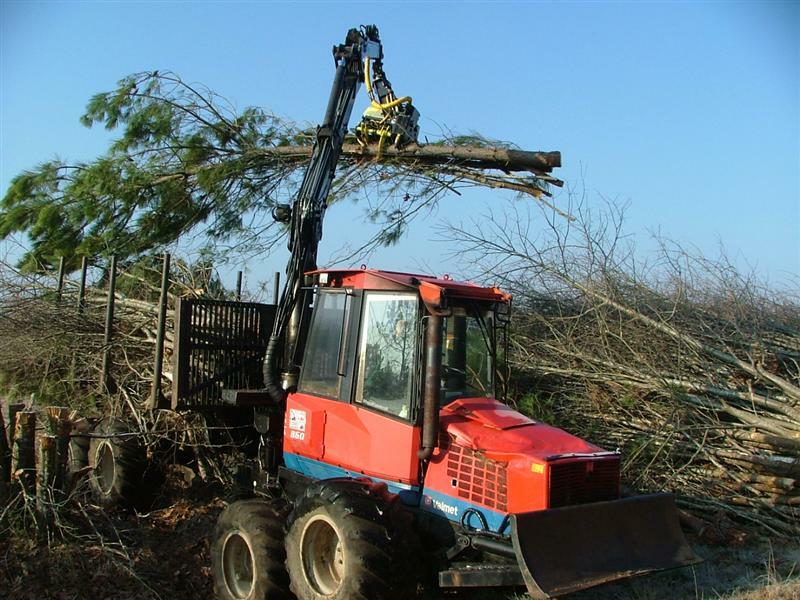 AFM 220 is a fast and efficient energy wood processing head. 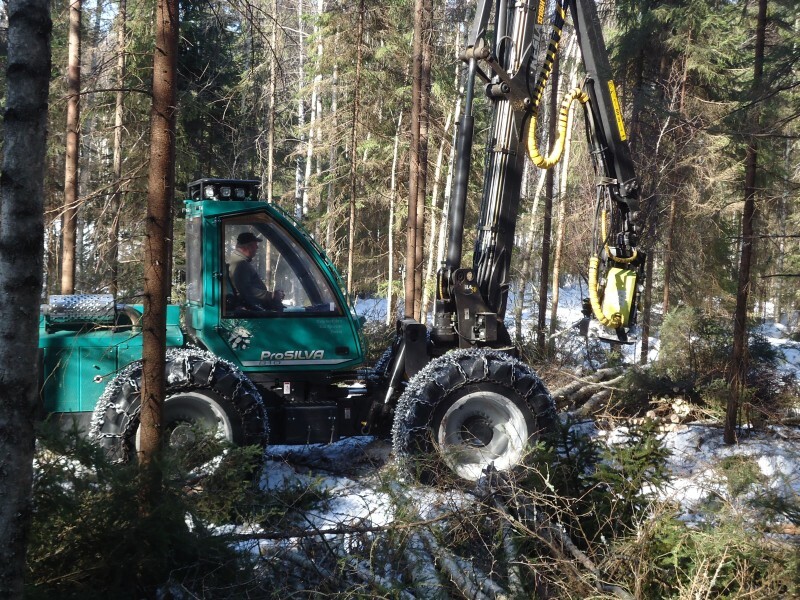 Due to AFM 220’s compact and simple frame, it is very manoeuvrable in dense thinning operations. 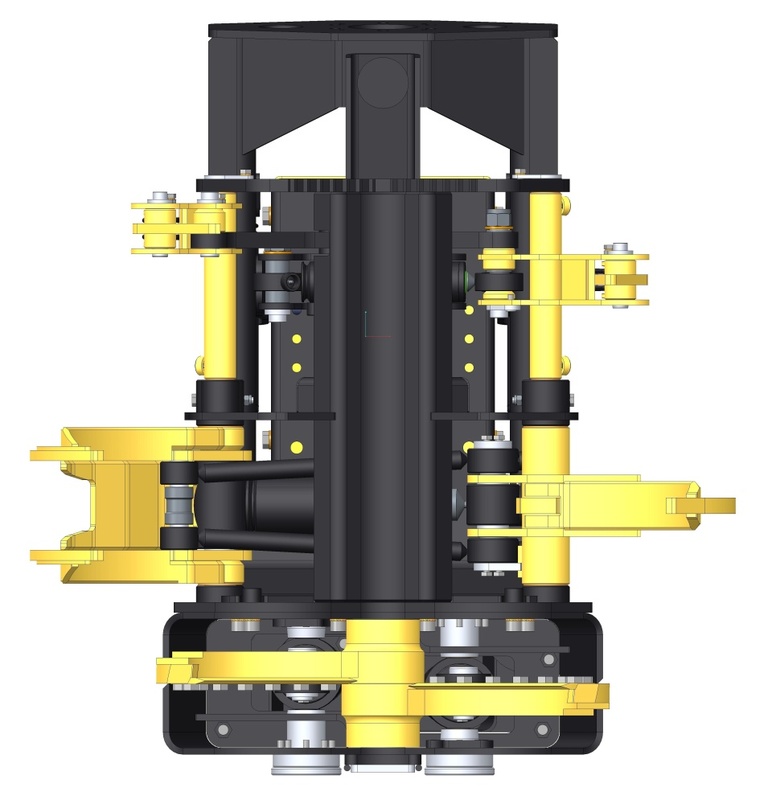 The grapple jaws of AFM 220 are designed for easy loading and unloading. The head is equipped with a high-speed, service friendly guillotine unit which ensures reliable cutting in any condition. 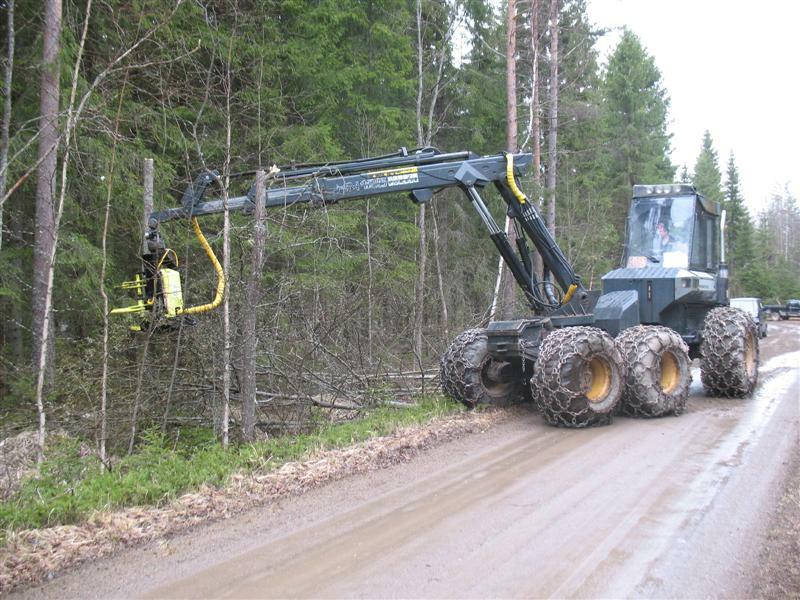 Multi handling grapples allow accumulating several stems in the head before felling them on the ground or straight in the forwarder. AFM 220 can be optionally attached with a continuous rotation rotator which improves remarkably the production especially when installed on combo machines. 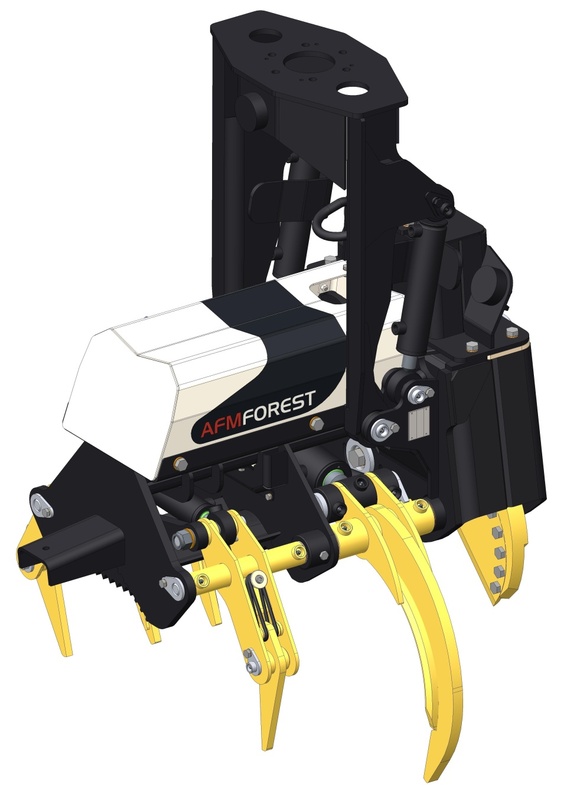 Due to its technical characteristics AFM 220 can be installed on a large variety of base machines such as wheeled harvesters, small size excavators, combo machines and forwarders. Optimum tree diameter 3-18 cm 1-7"
Width, max. 1150 mm 45,3"
Length, max. 1160 mm 45,7"
Felling diameter, max. 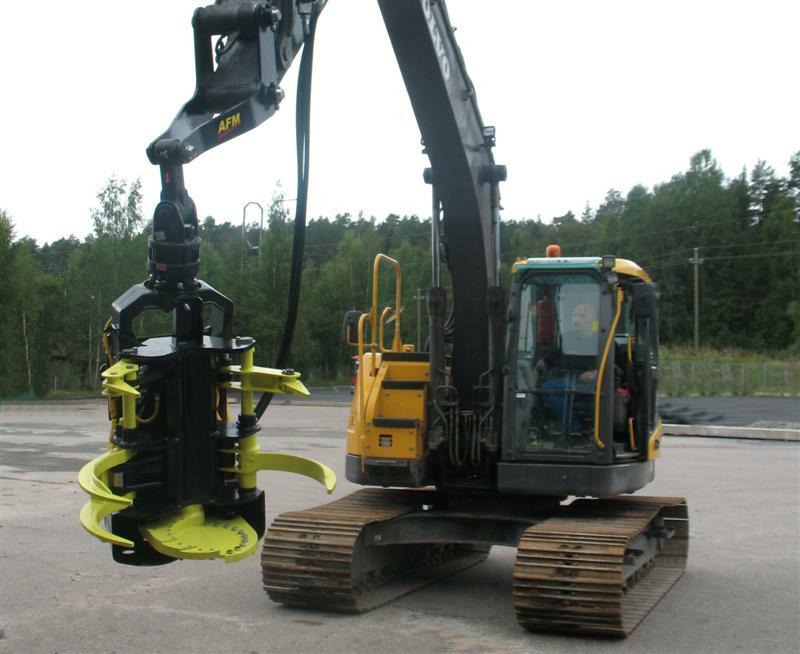 280 mm 11"
Grapple opening 950 mm 37,4"